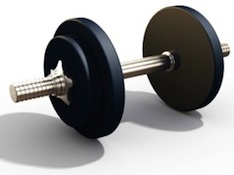 This is the second post discussing which is best – free weights or machines. If you came from someplace else, just click the link to start at the beginning. Dumbbells, barbells, body bars, kettle bells, medicine balls, chopped wood, grocery bags, and small children. Although I wouldn’t suggest you use your children as fitness equipment, the use of free weight fitness equipment will make the task of carrying your children easier. Any object that is not confined to a linear path can be considered a free weight. This (can) include cable machines as well. I’ll explain the difference in dumbbells and cable equipment shortly. If you choose to go with free weights I would suggest you hire a personal trainer to learn the proper and most effective uses of the equipment. Ways to improve your form and execution of exercises can be taught to you one on one so you will get the most benefit from your workout. Learning important information like how to set your shoulders and transverse abdominals during each movement for full core stability will help ensure that you can safely complete your program. If you are determined to go it alone then I suggest you buy a BIG mirror – so you can watch your form, a good book , and excellent training video. Free weights require you recruit supporting muscle groups in order for you to complete a movement. This is a good thing because it is more of an everyday type of functional movement. This improves everyday function as well as balance. Free weights allow for versatility. You can add different types of compound movements and variety to your workout. Like doing a dumbell squat and then when you stand you finish with a shoulder press. Its a great way to get in a full body workout in a short period of time. If you are unbalanced strength-wise there is a theory that you can more easily balance out by using the individual assets of the free weights because you can focus on the one muscle rather than using both. However there are ways to do this on machines too. Free weight equipment is a go anywhere type of thing. You can set up a fully functional gym in a small area plus its great for traveling. Safety in being able to quickly and easily drop and step away from the weights if you are unable to complete a heavy movement. I won’t say “free weights – the bad” because I can’t think of one bad thing about free weights – but there are cautions and important information you need to know in order to make your decision. Using free weights do require more skill than a controlled pivot type machine. But you can mitigate that by getting some good resources and/or hiring a good trainer. Just remember, if you don’t click with your trainer, you are free to hire a different one. We understand – we really do. This is about you and your success, so do whats best for you. Another caution is the need for your body to utilize and recruit more muscles than just the one you are focusing on. 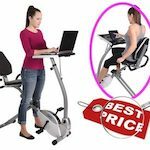 Although this is a good thing in regards to functional movement and training, the downside is if you have an injured muscle that needs to rest (like your lower back) you may choose to use machines during this time of rehabilitation as it is more difficult to isolate muscle movements using free weights. When using a dumbbell or barbell you will notice that the majority of the tension is in a small range of motion. For an example – when doing a bicep curl, once you get past the mid-point the remainder of the move is easier. This is where some types of cable equipment is a little better as it is designed to apply the same amount of tension throughout the entire movement. Some equipment use the ‘cam’ or oblique thingie’ that the cable or belt is run over a cam shape to maintain the tension on your muscle through the full range of motion. Another way of mimicking this improvement with free weights is by using bands or chains.